Krishna tells Mahadev that Radha will decide when Mahadev will return to Kailash as she made the mistake; this shivratri, world will glow or will go in deep darkness. Vrishbhan asks Ugrapath to perform Shiv pooja as only Shivji can save Barsana now. Ugrapath starts pooja and drops pooja thali in a shock seeing Ketki flower on shivling and asks who kept it and spoilt Shivling, explains reason behind ketki flower being considered inauspicious. Chandravali say she arranged pooja, but did not keep ketki flower as she knows it is inauspicious. Radha alleges that she saw Chandravali keeping ketki flower. Ugrapath says Chandravali did a big sin and should be punished. Krishna tells Mahadev that he willl bear Radha’s punishment as everyone knows he and Radha are same. He tells Ugrapath that he did a big sin of keeping Ketki flower on Shivling. Kans angrily holds Akroor and asks if he is more powerful than him or not. Akroor says he is more intelligent and powerful than him. Kans says if Krishna thinks he is more powerful than him, then why don’t he come and fight with him instead of hiding in Barsana. He tells Ugrapath that he did a big sin of keeping Ketki flower on Shivling. Radha gets concerned hearing Krishna taking her blame on her. Ugrapath says as a repention, Krishna has to dip himself in river 10 times, then climbing mountain make Shivling from mountain soil, and then perform pooja from that Shivling. Yashoda and Nand get worried and request to not give such a cruel punishment to Krishna. Ugrapath says this is the rule. Krishna says he is ready to bear punishemnt. Radha says Krishna did a mistake unknowingly and not sin, so he should not be punishment so harshly. Krishna repeats again that he did a mistake and will bear punishment. Krishna walks with everyone towards river. Radha tries to go and accept mistake, but Ayan stops her and says they laid a trap for Chandravali, but Krishna took blame on him showing how much he loves Chandravali now and not Radha. Mahadev says Krishna is bearing so severe punishment to regain Radha’s love. Krishna says just like one has to go so deep to get pearl, he also has to go deep into river to get pearl of love. Krishna gives moral gyaan that when one moves ahead in life, they meet many people, some encourage them and some even throw stones on them, we get angry and scold them and try to throw back stone on them; instead one should move ahead towards their goal and not stop to throw back stone, instead one can gather stone and build house of it; everything depends on one’s thinking. Radha also reaches there and get more concerned seeing Krishna trying to enter river and water waves throwing him out repeatedly. Precap: Radha tells Vrishbhan that she kept ketki flower on shivling. Krishna thinks Radha’s jealousy defect will end today. 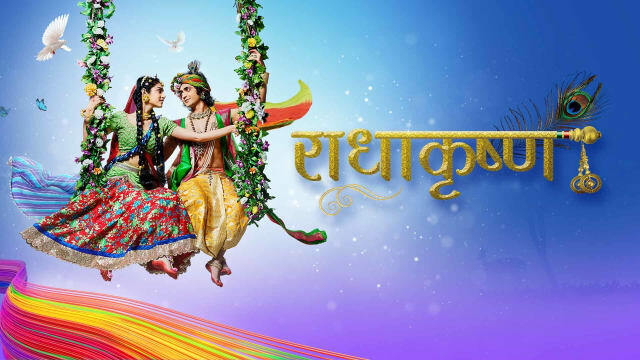 The post RadhaKrishn 8th March 2019 Written Episode Update: Radha Does Mistake appeared first on Telly Updates.